ItemB-00645 - "Moyie from the lake". 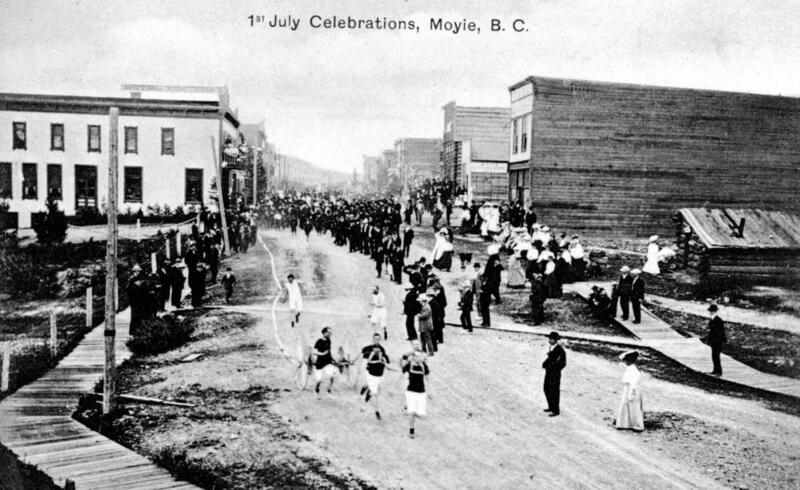 ItemB-00647 - Moyie. Arrival Of The Canadian Pacific Railway Flyer. ItemB-00648 - "Company houses and concentrator, Moyie". ItemB-00649 - "Concentrator, St. Eugent, Consolidated Mining Co., Moyie, BC". ItemB-00652 - Nicola United Church, Formerly Murray Presbyterian Church. ItemB-00659 - Vancouver's Lion's Gate Bridge. ItemB-00664 - Tappen; The Mccullough Cabin. ItemB-00665 - Tappen; Wood Bee At Mcdiarmid Homestead.